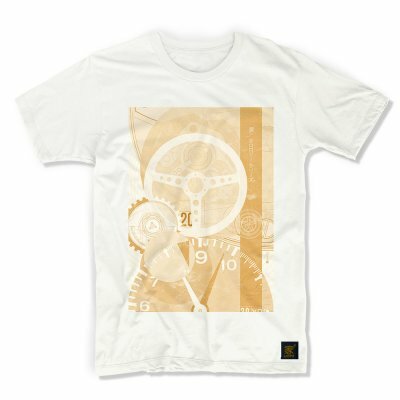 For our first Uchi Horology Series project, we’ve created a couple of unique TAG Heuer Monaco art prints and digitally printed t-shirts. Highlights of this design include Heuer’s exquisite Cal. 11 movement. Then we added some Junghans references (imagine if Max Bill had designed the Monaco). There’s more than a nod to Jo Siffert’s Porsche 917K (Kurzheck, or short tail) too. In particular, references to the Number 20 car (chassis 917-024) driven by McQueen’s character, Mike Delaney. We bring everything together with a unique Uchi treatment showcasing our graphic design, typography, technical communication and design-for-print skills. 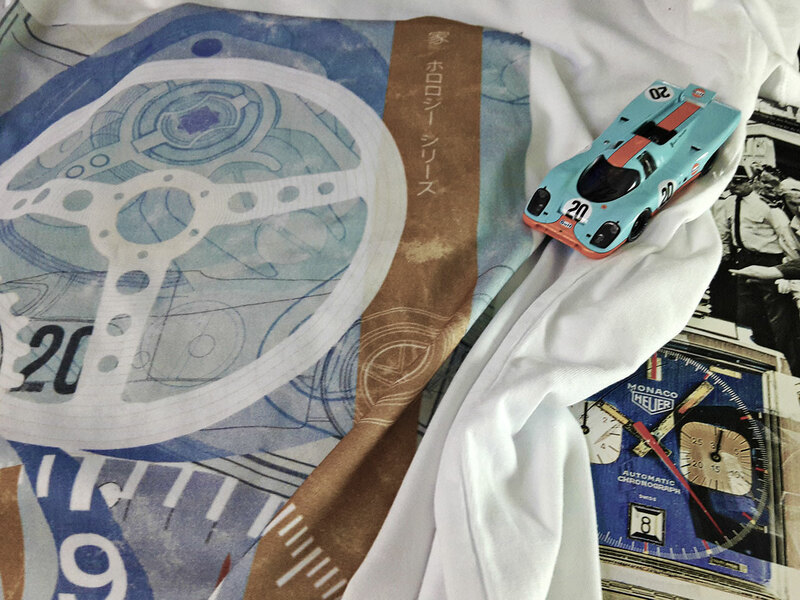 Our TAG Heuer Monaco inspired artwork and printed garments have been designed and crafted to delight watch collectors, racing fans and movie buffs alike. 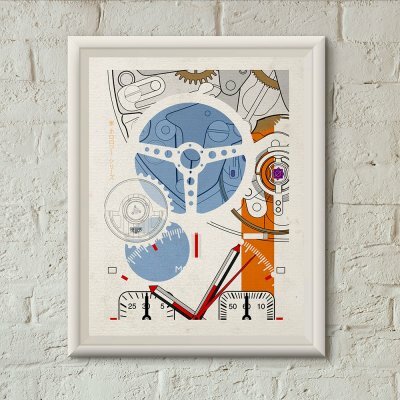 Maybe you own a TAG Heuer Monaco watch or collect Steve McQueen art? 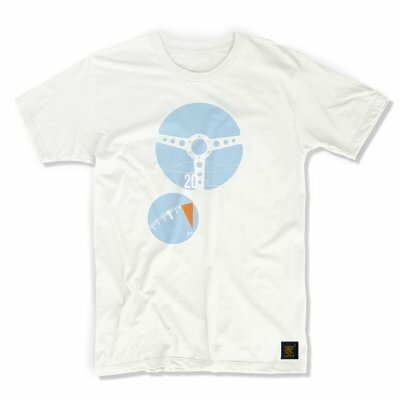 If so, these designs have lots to offer. Equally, if you collect Le Mans art, Jo Siffert art or even Porsche 917 art, at least one these prints or garments really should be in your collection. 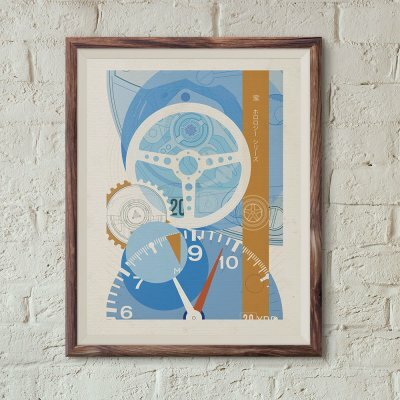 The inspiration for these timepiece artworks comes from the famous avant garde Heuer Monaco watch worn by the late, great, Steve McQueen in the motor racing move Le Mans. Then, for good measure, we referenced the awesome Porsche 917K, itself an iconic sports car, driven by Mike Delaney, played of course by the King of Cool, Steve McQueen, in the film. According to Jack Heuer’s autobiography, The Times of my Life, the Heuer Monaco’s distinctive square case was designed by case supplier Piquerez. Swiss watch case makers Piquerez supplied many cases to Heuer in the 1960s. The Monaco wasn’t the first square-case chronograph. Universal Genève and others had manufactured square button chronographs for decades. What made the patented Piquerez case different was that it was the first fully water resistant square case. Heuer quickly negotiated a deal with the Jura-based firm to give Heuer exclusive use of the new design for chronographs. The story of the Steve McQueen Monaco, Heuer’s ‘Project 99’, with its Calibre 11 automatic winding mechanism, had begun. Now, half a century later, this innovative watch inspires the first Uchi Horological Series art work. For collectors of Jo Siffert art too? Great successes often come from serendipitous events. Uchi’s introduction to UK-based watch and strap company Geckota is a case in point. Our relationship was key to the launch of the Uchi Horology Series. Heuer’s inspired decision to sponsor young Swiss racer Jo Siffert in the 1960s was similarly important. Indeed, Siffert was arguably the prototypical watch brand ambassador. Through a fateful series of events, the relationship gave Heuer’s watches the promotional boost needed to bestow iconic status for ever. This was particularly so with Heuer Autavias such as the 1966 ‘Rindt’ Ref. 2446 and the panda-dial Ref. 1163T ‘Siffert’. And, of course, the most famous Heuer of all – the Steve McQueen Monaco. In the late 1960s, Jo Siffert, who, tragically, was to die at Brands Hatch in 1971) was widely considered one of the greatest talents in Formula 1 and sports car racing. 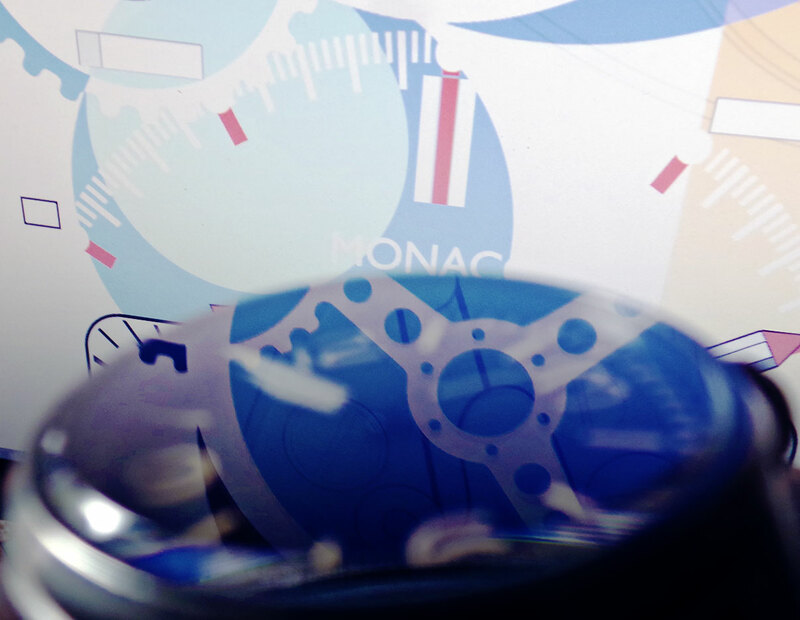 Because of this, our Heuer Monaco watch art works should also appeal to collectors of Jo Siffert art. When Heuer was finalising development of the square-dialled ‘Project 99’ Monaco chronograph, Jo Siffert drove for Porsche in sports car racing events, including the annual 24 Hours of Le Mans. He was also the official Porsche dealer in Fribourg, Switzerland – an hour’s drive (or maybe less for Jo Siffert) south from Heuer’s La Chaux de Fonds factory. The Swiss also owned numerous contemporary racing cars, and was well liked and well connected on the Formula 1 and sports car racing scenes. This would soon lead him to involvement in Steve McQueen’s forthcoming project to direct and star in the greatest, most authentic, motor racing film ever made. McQueen was mentored by Jo Siffert and Gulf Porsche teammate Derek Bell during filming on the Circuit Permanent de la Sarthe after the 1970 Le Mans 24 Hours race. Though an accomplished sports car racer (who nearly won the 12 Hours of Sebring earlier in 1970), his insurers forbid him to drive in the actual French classic. No such bans applied to him driving the mighty Porsche 917 during later filming. McQueen loved Jo Siffert’s ‘look’, complete with Heuer-emblazoned racing suit and Heuer chronograph watch. He insisted on replicating this look exactly in the film, complete with the same racing suit. At this point, the story goes, Don Nunley offered McQueen an Omega to wear. However, the star rejected this due to fears that Omega would exploit the association. 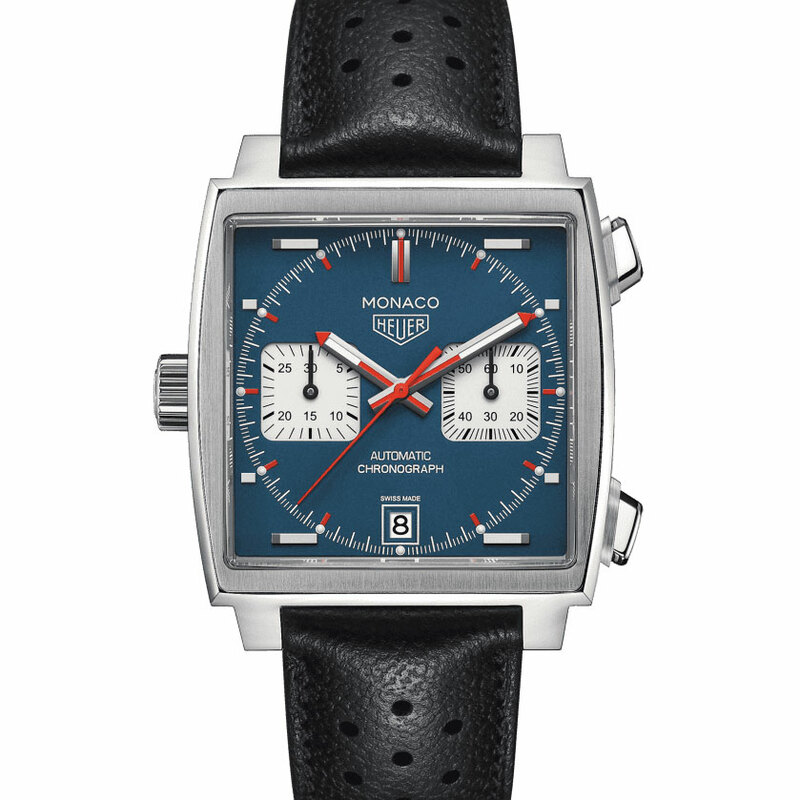 Instead, McQueen chose the less well known Heuer Monaco Cal. 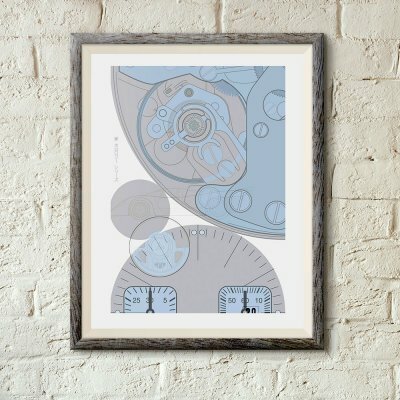 11 that now inspires the first Uchi Horology Series designs. Not only was wearing a Heuer watch consistent with the racing suit logos for filming continuity. Significantly, the Monaco, rather than the round-dialled bi-compax Heuer Autavia that Siffert wore, was the only Heuer watch on set for which there were three identical copies (for filming, stills and backup). If you’re interested in exploring this fascinating story further, we recommend Jack Heuer’s autobiography, The Times of my Life. 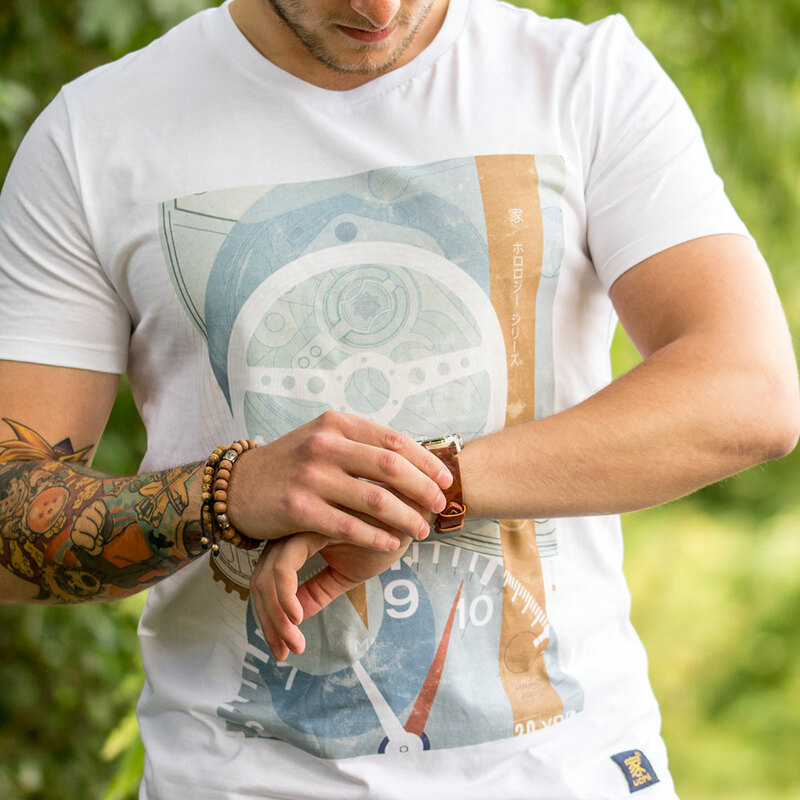 Other essential references for fans of Steve McQueen, Le Mans and the Heuer Monaco Cal. 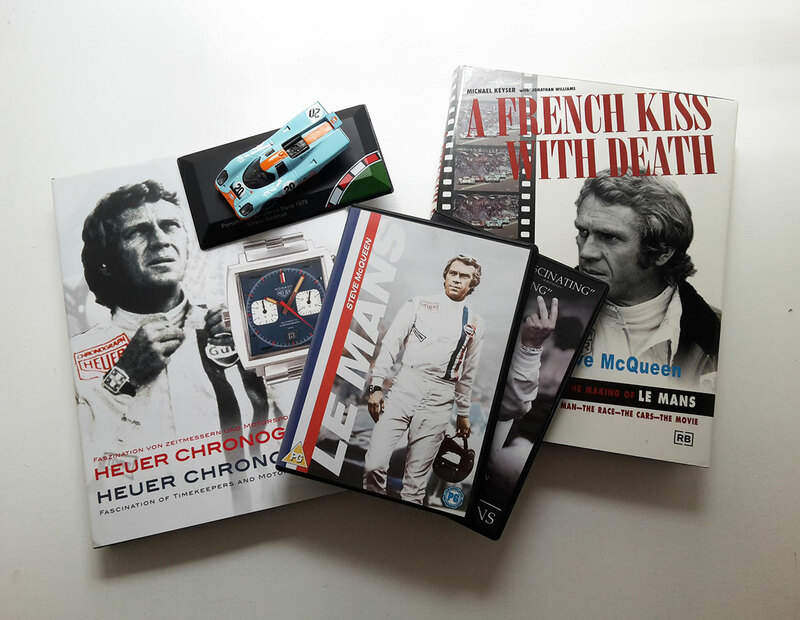 11 are Michael Keyser and Jonathan Williams’ book, A French Kiss with Death: Steve McQueen and the Making of Le Mans, and Arno Michael Haslinger’s definitive watch reference titled Heuer Chronographs. 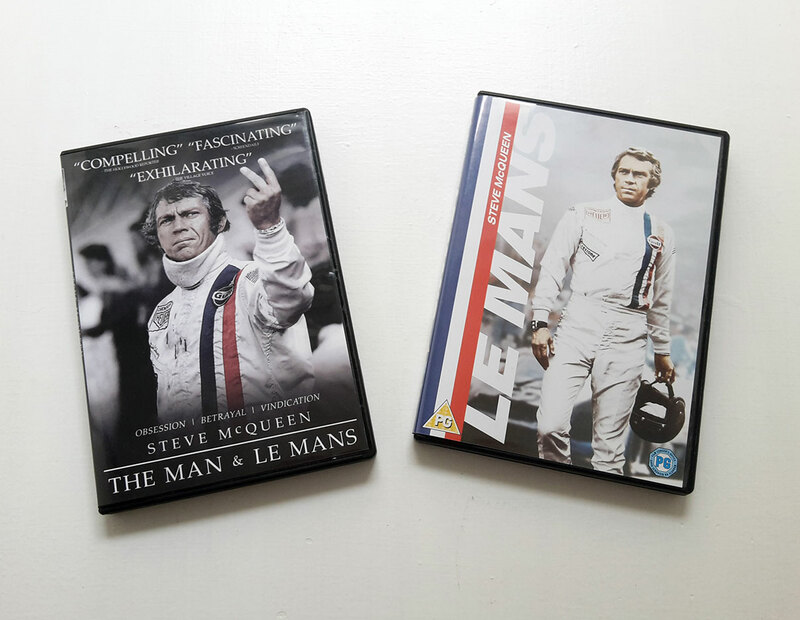 The movie of Le Mans and the highly acclaimed 2015 documentary Steve McQueen: The Man and Le Mans will also be of interest – complete with visual references – during filming and in the finished movie – to Steve McQueen’s Heuer Monaco. As you can see, our launch products for the Uchi Horology Series come with impressive historical influences and a great back story. 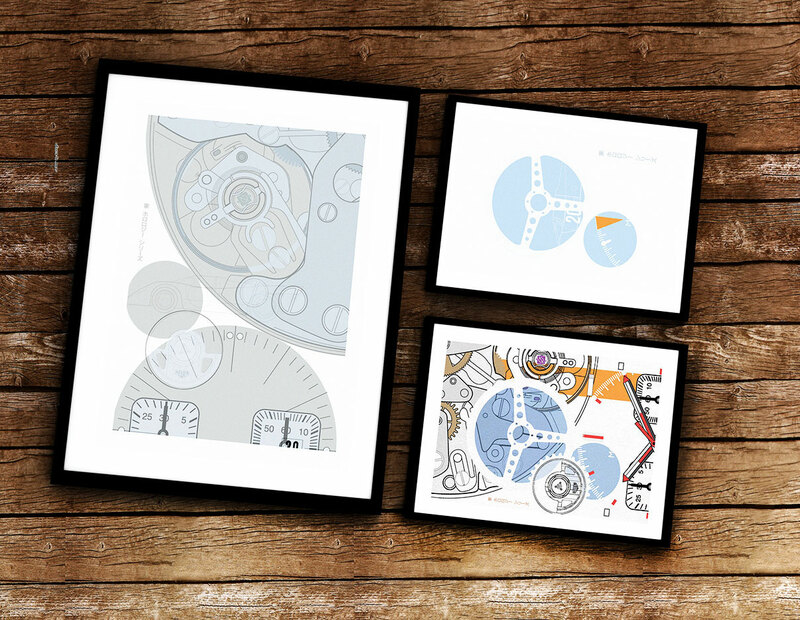 This is must-have suite of high quality Heuer art prints finalised for digital, Giclée or digital t-shirt printing. 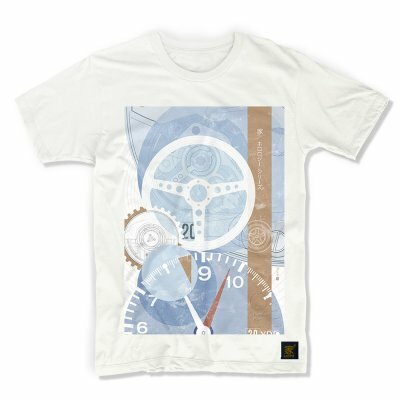 Will you choose one of our digitally printed TAG Heuer art prints, several striking t-shirts, or a print and t-shirt set? Whatever you select, you, or a lucky gift recipient, can look forward to a product designed and manufactured with passion and attention to detail. The same kind of passion and attention to detail that Steve McQueen put into Le Mans. And that Heuer (the watchmaker only became TAG Heuer in 1985) put into its now-iconic Monaco racing chronograph. So, which of our tribute art works to the classic Heuer Monaco, the King of Cool, and a golden age of sports car racing will you choose? 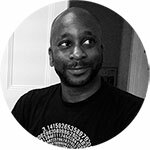 Welcome to the Uchi family and our unique Horology Series.